What's so Special about this pack? It's a normal pack but with a twist..
All the levels in this upcoming pack are Fire/Hell Themed! 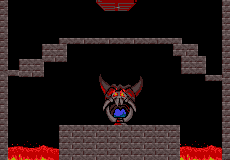 That's right, so if you're Flopsy and you love Hell Levels, then this pack will be extra fun for you! Also, it's worth noting that this is my second pack ever made, so hopefully it will be better then the first. Here's the Nov. 11 2017 Demo I just compiled today. I hastily made this, so there's a probably some bugs related to the nxp. Since it's a demo, there's only 1 custom music track included. Do youtube videos of it, attach replays, whatever you want. Rank 1 Level 1: "Welcome to Hell"
Rank 1 Level 4: "Fire Island"
That's all I have developed right now. Hey guys, the demo's out now. Link and details are in the original post. I was about to post my feedback and then my internet connection crashed and I lost it all. The first few levels were nice intros and fairly easy. It ramped up pretty nicely, too. Level 7 seems incomplete, because you can just ignore the lemmings that are trapped and still win the level easily. I feel like you should have to save them. Level 9 could be made a bit more interesting if you had to save all of the lemmings. The pillars don't touch the ceiling though, and I'm not sure why the release rate is locked. The decoration is a little samey. Many of the levels were built mostly out of rectangular blocks, and there were some pieces I didn't see at all. If you're going to restrict yourself to just one tileset, you should try to make the levels look a bit more varied, I think. Hearing your chiptune cover for level 9 was refreshing; you should use your chiptunes for all the levels! Very nice levels I posted my replays below. 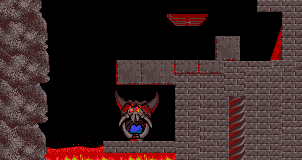 "Doomed" - Same comment as nin10doadict: you can ignore the trapped lemmings and still pass the level. I don't know if that is intentional or not. "Only Way To Home" - I can pass this level without the cloners, but once again I don't know if that is intentional or not. I would do a youtube playthrough of this demo but I don't tend to do demos. I'll wait for the final release of this pack to do an LP. For this reason I won't play the demo so I'm spoiler free. I liked the first seven levels. The first level is a good introduction. I am sure my solution for level 2 is a backroute. Saving 100% on level 3 was fun, although I don't think my solution is intended. Went two different ways to solve level 4. I managed to find a solution for level 5 that did not use the miner. Possible talisman? Level 6 is a great use of the timer. Saving 100% on level 7 is the best puzzle in this pack. I don't like the last two levels, they seem boring. I've migrated to the New Format which means the Hell Pack will too. So if you haven't switched to the new format and wanna play this pack when it comes out, now's the time. What I've seen so far is definitely a step up from your first pack! Some levels definitely made me stop and think a little longer, e.g. how to control the crowd. "You must be quick" and "Lava lake" come to mind. Generally speaking though, you still provide way too many skills to keep the level somewhat challenging. I know this is supposed to be the first rank, but I remember in your first pack that this is pretty much the difficulty the entire pack was on. - Provide fewer platformers and builders in total, and also perhaps just either platformers or builders. Use the restrictions of these skills to your advantage to create a dilemma for the player, rather than always providing them as a "couple" to compensate for each others downsides. - Try to come up with different methods of freeing blockers and turning lemmings around than just walkers. Crowd control and turning lemmings around are two of the everyday challenges of playing lemmings. Therefore, you probably don't want players to use blockers light-heartedly, just because they know they can easily release the blocker again with a walker. The walker in itself is too powerful a skill to be "wasted" merely for releasing blockers. - releasing blockers: bash under them, mine under them, have a lemming fall into the blocker from above and dig (+ some other skill to stop the digger); you can also make the ground steel so that the blocker can't be released that easily - instead, the player has to build a staircase first and put the blocker on that staircase, so that this terrain can be removed later on. Good luck with the further development of this pack! Thanks for the feedback! Those ways to turn around blockers would make the higher ranked levels harder. Thanks for the idea!